Pavel Trubetskoy (Italian – Paolo Troubetzkoy) was a Russian sculptor and painter, worked in Italy, the US, Britain, Russia and France. His work was highly appreciated by famous sculptors, artists and writers of the time. His good friend well-known Russian writer Leo Tolstoy called him primitive and extraordinarily talented. As early as 1863 the father of the famous sculptor Prince Peter Trubetskoy was sent as a diplomat to Florence by the order of the Ministry of Foreign Affairs. There he met his love and future wife singer Ada Vinans, who came from the USA to Italy to take singing lessons and develop her musical abilities. Despite the fact that he was already married to a Russian girl, Peter lived with Ada. To tell the truth, he could divorce his first wife only in 1870. When the information reached the royal court, Alexander II became very angry, forbidding Trubetskoy to return to his homeland. At that time, Peter and Ada lived in the north of Italy in Intra under the name Stahl. There their three sons were born. Paolo was born on February 15, 1866. Why did the eagle appear on the seal of Ivan III? 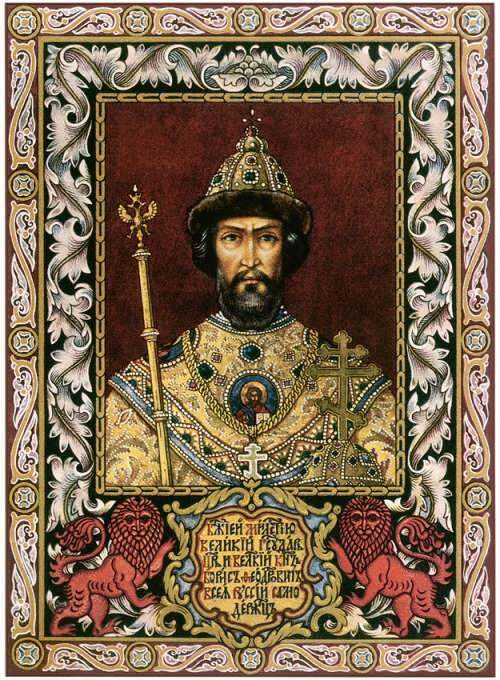 Did Ivan the Terrible kill his son? The history of Russian monarchs is full of mysteries. Historians have not agreed on the fact who was Rurik. According to some sources, he could be a Danish Viking Jutland or Swede Eirik Emundarson. Is there a Slavic version of Rurik’s origin? The historian of the XIX century Stapan Gedeonov linked the name of Prince with the word “Rerek” (or “Rarog”), which meant falcon in Slavic tribe Obodrits. During the excavation of the early settlements of the Rurik dynasty many images of this bird were found. Boris Godunov was the Tsar of Russia from 1598 to 1605. He was one of the most famous (or infamous) rulers of early modern Russia. During the 7 years of Godunov’s rule, Russia strengthened its influence and its own borders, but internal conflicts provoked the ascension to the throne of the impostor False Dmitry. Boris was born in 1552 into the family of a landowner who lived near Vyazma. The ancestors of Boris are Kostroma boyars, who eventually become landlords in Vyazma. Being a provincial nobleman, the young man was educated, but did not get acquainted with the Holy Scripture. The study of church books was considered a fundamental component of study, so gaps in this area were not allowed. After the death of the parents, the uncle took care of Boris and his sister Irina, and because of constant travel he had to give the orphans to the Kremlin. The children grew up with the royal heirs. 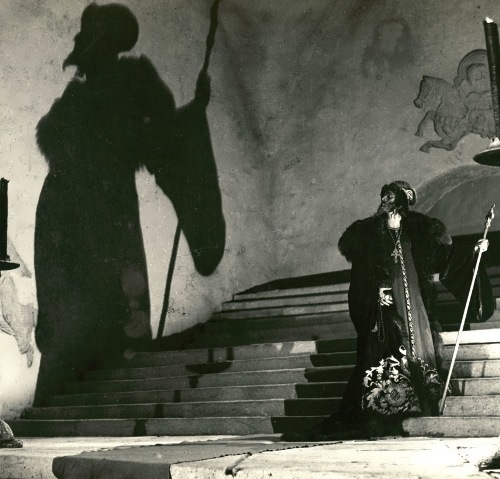 Ivan the Terrible loved to talk with Boris and even ordered him to write down his own wise thoughts. Russian history is full of devotees ready to lay down their lives for their idea. 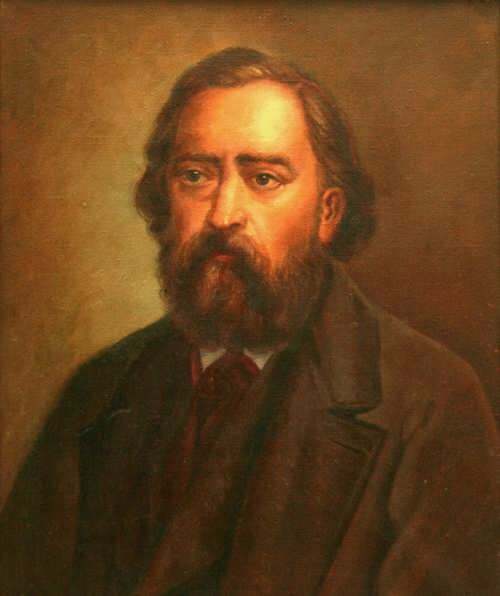 Alexander Herzen (1812-1870) was the first Russian socialist to preach the ideas of equality and brotherhood. And although he did not take direct part in revolutionary activity, he was among those who prepared the ground for its development. One of the leaders of the Westernizers, later he became disillusioned with the ideals of the European way of development of Russia, moved to the opposite camp and became the founder of another movement, populism, significant for our history. The biography of Herzen is closely connected with such figures of the Russian and world revolution as Ogaryov, Belinsky, Proudhon, Garibaldi. Throughout his life he constantly tried to find the best way for equitable organization of society. To tell the truth, Alexander Ivanovich is respected for the passionate love for the people and the selfless service to the chosen ideals. Alexander was an illegitimate son of the rich landowner Ivan Alekseevich Yakovlev and 16-year-old German girl Henrietta. Due to the fact that officially the marriage was not registered, the father couldn’t give the boy his surname. So he named his son Herzen, which means “child of the heart” in German. The future publicist and writer was brought up in his uncle’s house on Tverskoi Boulevard (now the Gorky Literary Institute). The ideas of the Great French Revolution were constantly hovering in the air of Alexander’s study room. Already at that time, Herzen befriended Ogaryov. The nineteenth century is called the Golden Age for Russian literature and the period of the formation of art criticism, the founder and most vivid representative of which is Vissarion Belinsky. The world significance of this person is measured by the quality of his ideas. According to contemporaries, Belinsky, a critic and a Western philosopher, has outgrown the level of bourgeois thought of the time. He established a symbiotic relationship between the writer and the critic whose creative interaction he considered a tool of societal self-exploration. The influence of this publicist and writer on Russian literature is felt until now. 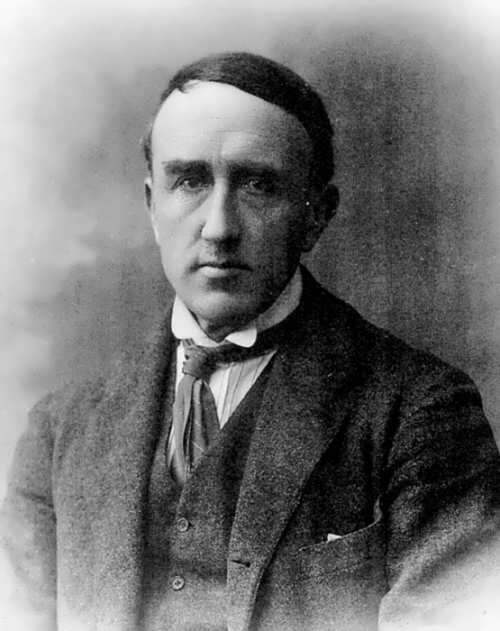 Vissarion first established the correct concepts of prose and poetry in general. It was he who pointed out the direction in which literature was to go to become a social force and a teacher for the younger generation. Theoretical positions that he developed, have become common property. New literary generations are still based on his relentless search for truth, as well as on the views on the importance of literature in life. 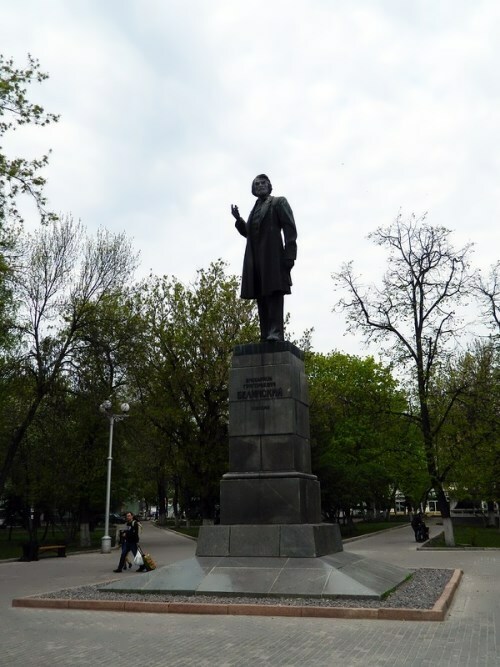 Grandson of the priest and the son of a doctor, future critic and publicist was born in the Penza province on May 30 (June 11), 1811. Vissarion studied at the local grammar school and the Penza Gymnasium. 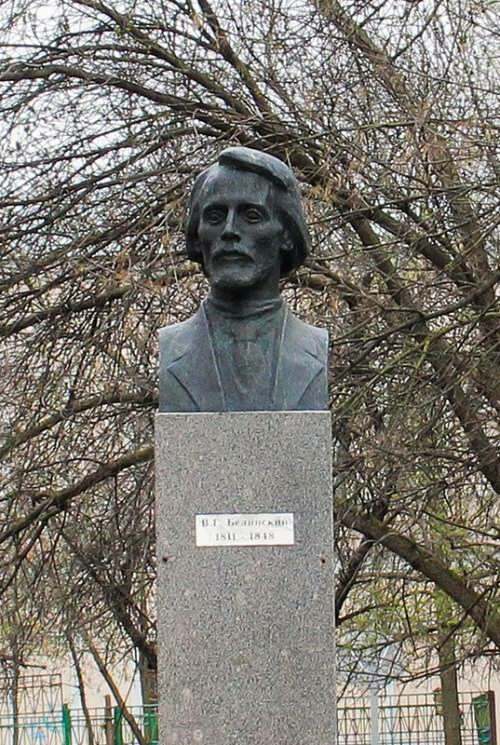 From 1829 to 1832 he studied at the literary department of the Philosophy Faculty of Moscow State University. In the student years (1829-1832) Belinsky joined Eleventh Number club. Many problems of philosophy were constantly discussed there. At one of the meetings, Belinsky read the first drama he wrote Dmitri Kalinin, based on the author’s living impressions of serfdom. The future great critic and publicist in his work heatedly attacked the “fatal law” of the landowner class to dispose of the destinies of the peasants. Censorship of the Moscow University banned drama as immoral. As a result, Belinsky was expelled from the university. He began giving lessons and making translations. At that time, he was closely acquainted with Professor Nadezhdin. In 1831, professor founded a new journal The Telescope and invited Belinsky to translate small articles for his publication. And in September 1834 Vissarion Grigorievich published a series of critical articles Literary Reveries. 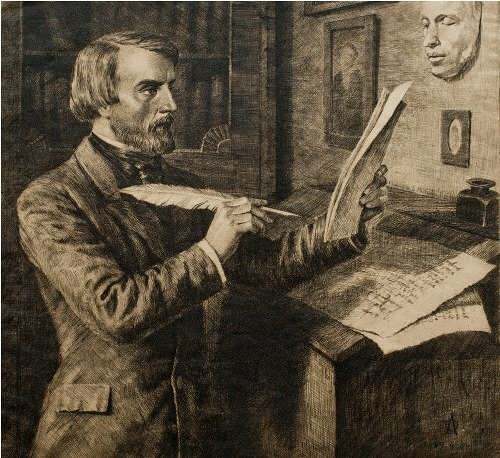 In 1835 he began to work as secretary of the famous writer A. Poltoratsky. The journal Telescope, where Vissarion directed the department of criticism, was closed. According to contemporaries, until the beginning of 1838, a well-known publicist and writer survived only thanks to the help of friends. 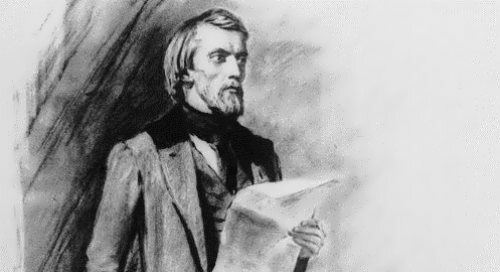 From March to October 1838, at the invitation of Aksakov Belinsky taught at the Constantinovsky institute, after which he became an unofficial editor in the journal The Moscow Observer. 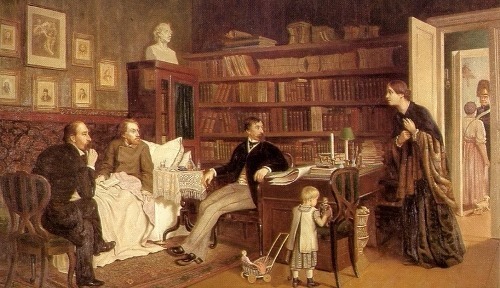 At that time, he often visited the family of M. Shchepkin. In October 1839, Vissarion moved to Petersburg. In 1843 Belinsky married his childhood friend M. V. Orlova. On June 13, 1845 their daughter Olga was born. The younger two children died in infancy. Belinsky met all leading Russian authors of his day, from Alexander Sergeyevich Pushkin and Mikhail Yurievich Lermontov to Ivan Andreyevich Krylov and Ivan Sergeyevich Turgenev, befriending and deeply influencing many of them. In his youth, Belinsky, whose philosophy had always been a hobby, began to study the aesthetics of Romanticism, deepened into the ideas of Schelling, Hegel and Fichte. 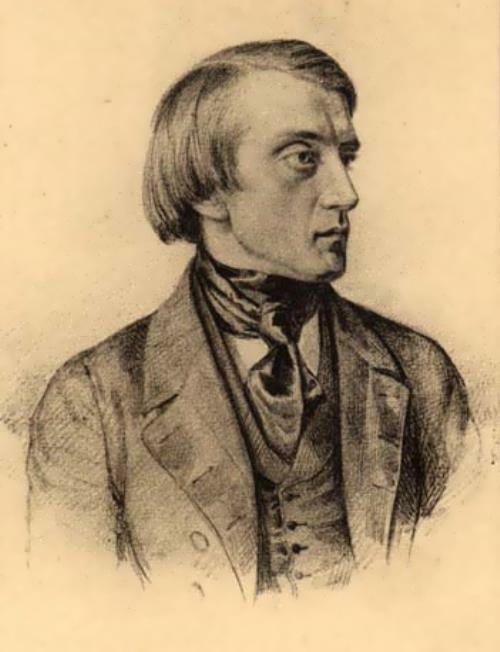 Already in the early 1840s, he sharply criticized the rationalistic determinism of the concept of progress, concluded that “the fate of the individual is more important than all the destinies of the world.” Evolution of Belinsky’s views was accompanied by an intensification of criticism of philosophical idealism. In his letter to Gogol, Vissarion criticized the church. 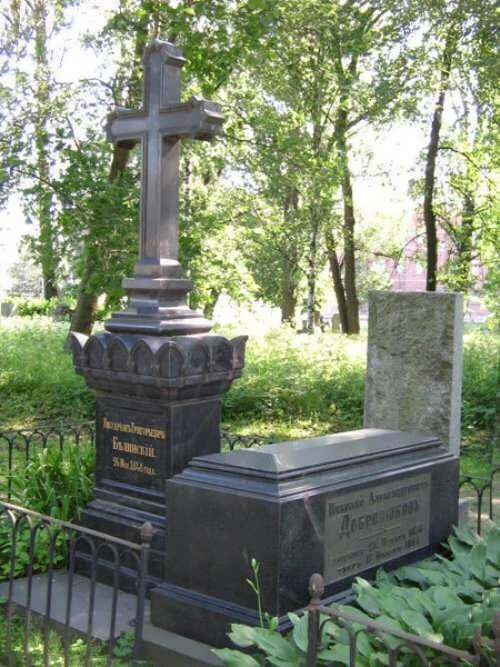 Well-known critic and publicist died on May 26, 1848 in Saint-Petersburg. Being married, he left behind a three-year-old daughter and a huge literary heritage. 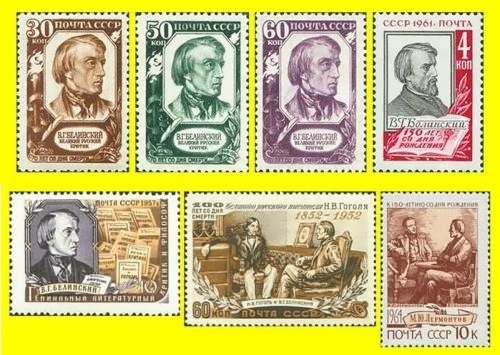 In addition to Annual Review of current literature, articles about the theater and political and bibliographical notes, in Notes of the Fatherland (1840-1846) Belinsky placed article about Derzhavin, Lermontov, Maikov, Polezhaev, Marlinsky, about Russian folk poetry and a number of great articles, that present the history of Russian literature from Lomonosov to Pushkin’s death. In 1985, a crater on Mercury was named in honor of Belinsky. On September 25, 1988, an asteroid discovered on November 5, 1975 by L.I. Chernykh, was named 3747 Belinskij. Mikhail Gorbachev is a statesman and public figure of Russia of the 20th century who entered the political world during the Soviet era. 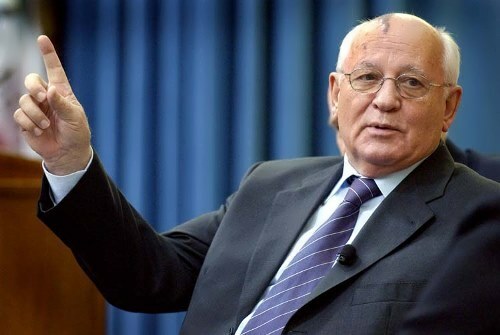 You know, Gorbachev became the first and only president of the USSR, the results of his activities entered into Russian history, and also became important factors in the politics of the rest of the world. 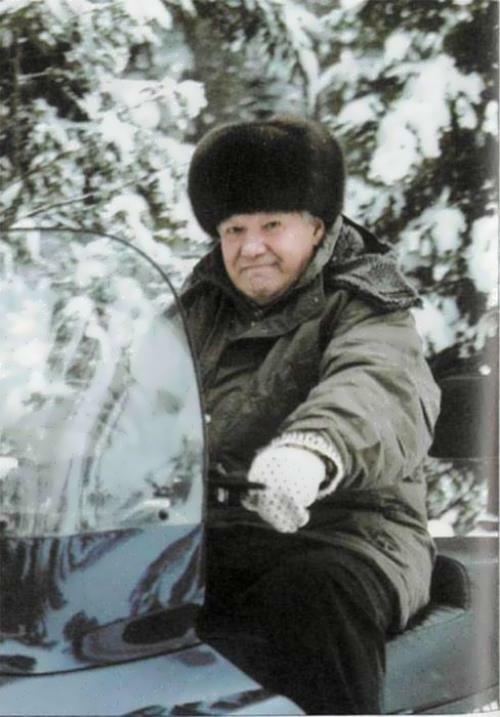 Perestroika led to a change in life in Russia and the political situation in the world. The role of Gorbachev in the country’s life is ambiguous – some believe that the politician brought more benefit to the people than harm, while others believe that the politician became the cause of all the troubles of modern Russia after the collapse of the USSR. Mikhail Sergeyevich was born on March 2, 1931 in the Stavropol village Privolnoye. The parents of the future president, Sergei Andreevich and Maria Panteleyevna, were peasants, so his childhood was without wealth and luxury. In the early years, the boy had to go through the German occupation of Stavropol, which left an imprint on the character and political position of the young man in the future. Boris Yeltsin was a statesman who went down in history as the first president of Russia, and also as a radical reformer of the country. The boy was born on February 1, 1931 in Sverdlovsk (now Yekaterinburg) into a simple working-class family. His father Nikolai Ignatievich was engaged in construction, and mother Claudia Vasilyevna was a dressmaker. Soon after the birth of Boris his father was repressed, the boy along with his mother and brother Mikhail lived in Berezniki, Perm Region. At school the future president studied well and was a class activist. 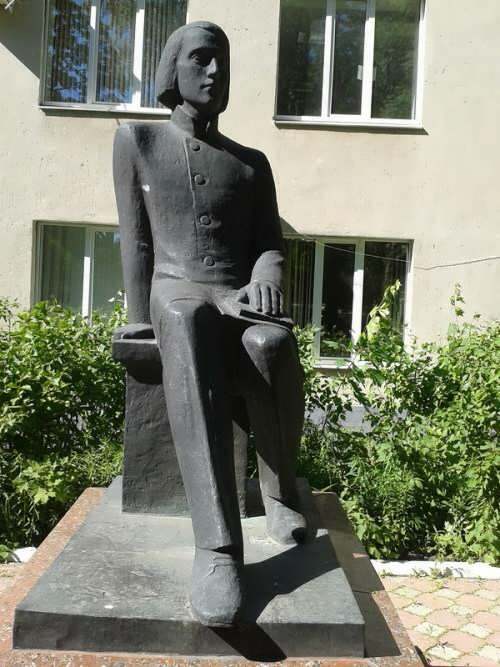 After school Boris became a student at the Ural Polytechnic Institute. Because of the trauma Boris didn’t have two fingers, so he was not called to serve in the army. But this did not prevent him to play volleyball, became Master of Sports and play for the national team of Yekaterinburg. After the university, Yeltsin worked as a joiner, painter, concrete worker, carpenter, mason, glazier, plasterer and crane operator. By the mid-sixties he had already headed the Sverdlovsk house-building plant. In those same years Boris Nikolayevich became a delegate to the city conference of the Communist Party, then first secretary of the Sverdlovsk Regional Committee of the CPSU. And by the beginning of the 1980s Boris became a member of the Central Committee of the Party.